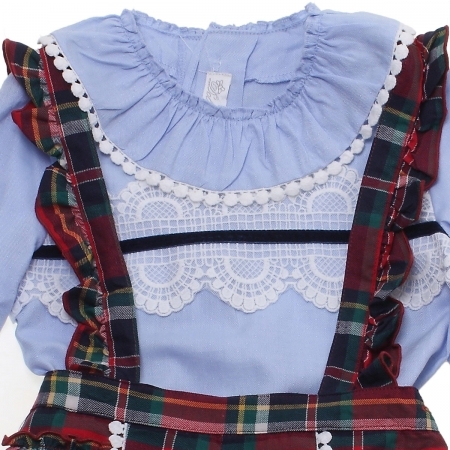 Top has white lace in front and frilly collar with white scallop lace. 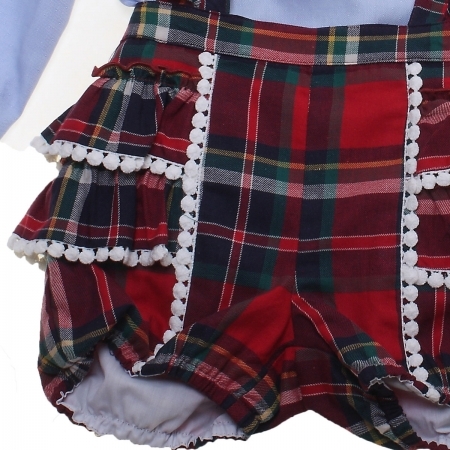 Red tartan shorts have white scallop lace throughout. Back of shorts has multi-layers. Shorts are fully lined and have elasticated waist. Red frilly braces are adjustable.